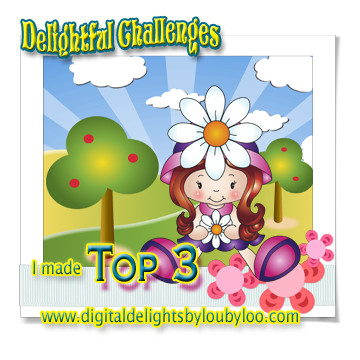 It's time for some mid-challenge inspiration over on the Oddball Art challenge blog. The theme this month is 'For You, Blue' (use blue on your project). The challenge runs until September 14, with a new challenge starting on September 15. I used Image #218 - Bella, which includes the awesome word bubble and sentiment on this tag. 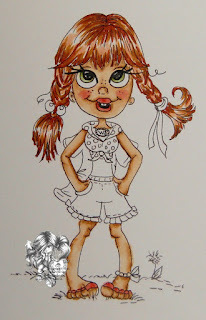 I colored Image #218 - Bella, with Copic markers, then used a variety of dies by Hot Off the Press to cut out the tags. Papers are by My Mind's Eye. 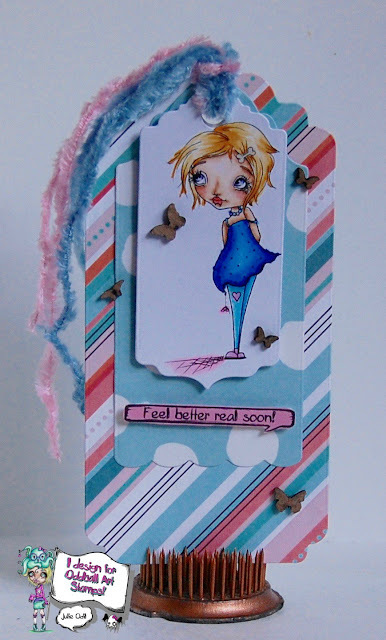 The chipboard butterflies are from UmWow Studio. The fibers are by Close To My Heart. 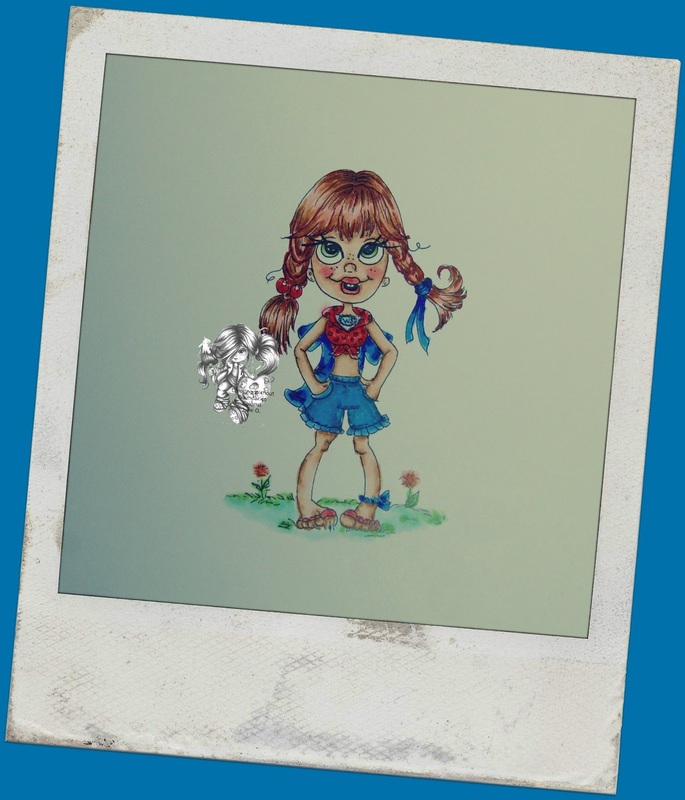 Come join the 'For you, Blue' fun at Oddball Art Challenge blog! You still have plenty of time, and I'd love to see what you make! 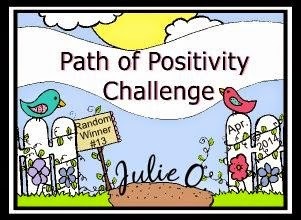 Don't forget our Anything Goes with Oddball Art images challenge on our ODDBALL ART FACEBOOK GROUP CHALLENGE. 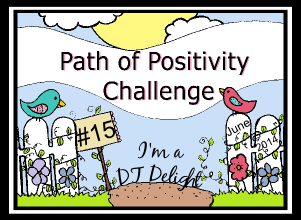 We have a new challenge starting the 1st of every month. I have a little extra something I'm posting this month for Imagine That! Digis by Kris. 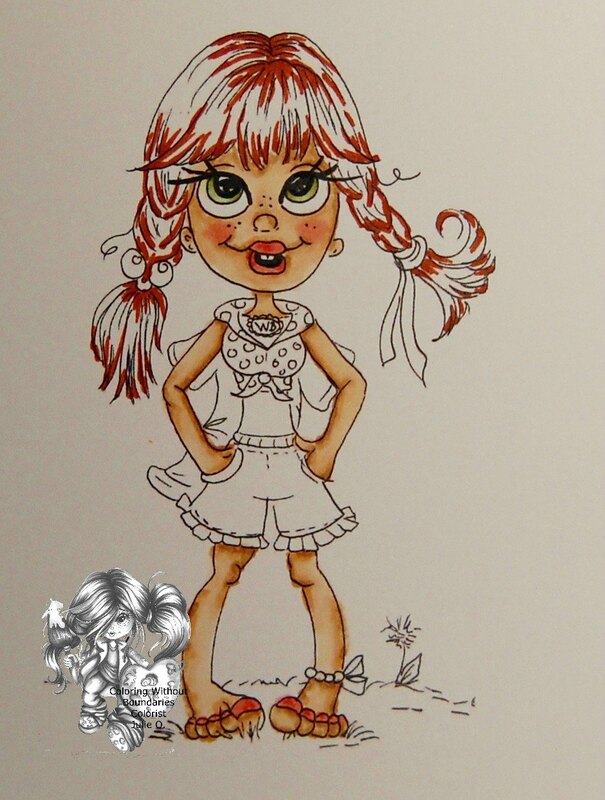 I fell in love with this sweet image as soon as I saw it in the shop, I just had to color her up! This is Emma, and I think she is just the sweetest thing! I colored Emma with Copic markers, using bright, summery colors. Then, I used some fun, bright papers from the Imagine That! 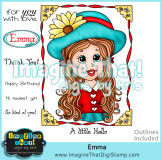 Digi Stamp shop called Sunshine & Rain to create the card. The sentiment is also from the Emma set. The fancy card edges were created with dies from Hot off the Press. The crinkle ribbon is from 3 Girl JAM. I think she's just summery enough to enter in the signs ofsummer challenge at the Creative Playground, don't you? Yea! It's Friday! 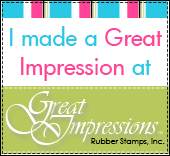 And, I'm posting today for Great Impressions Stamps! A double win! I was thinking of back to school, so I put together this bookmark. Do his even use bookmarks anymore? 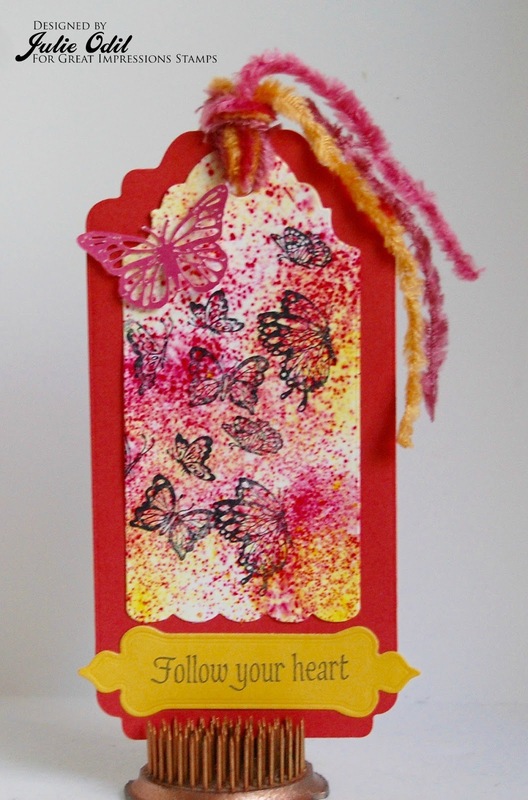 I created the background using Ken Oliver Color Bursts, then used various dies from Paper Wishes to construct the bookmark. The butterfly diet is from Cheery Lynn. The fibers are from Close To My Heart. 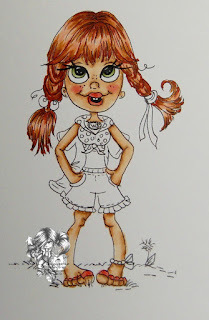 I'm posting today for Lacy Sunshine and Coloring Without Boundaries. 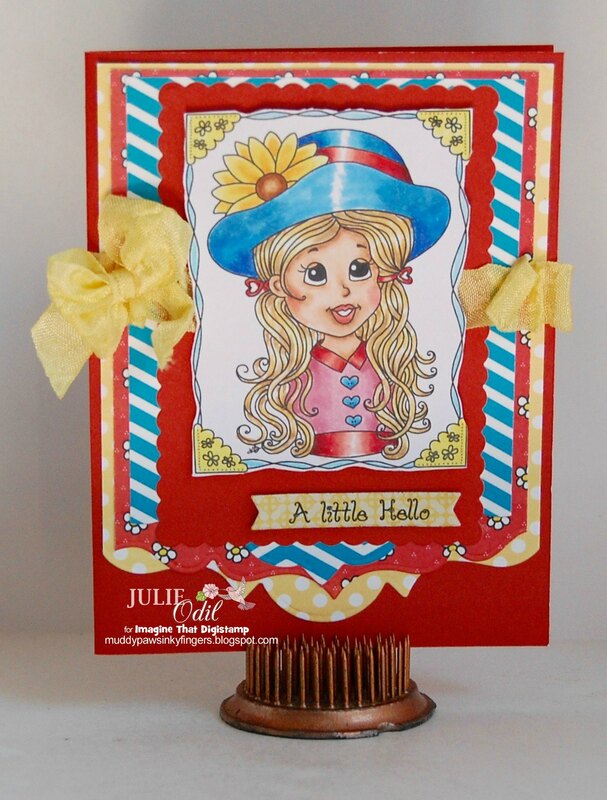 I have a super cute digi, created by Heather Valentin, and a short tutorial, to share with you today. Meet Wonder Bumpkin, one of the Super Hero characters! 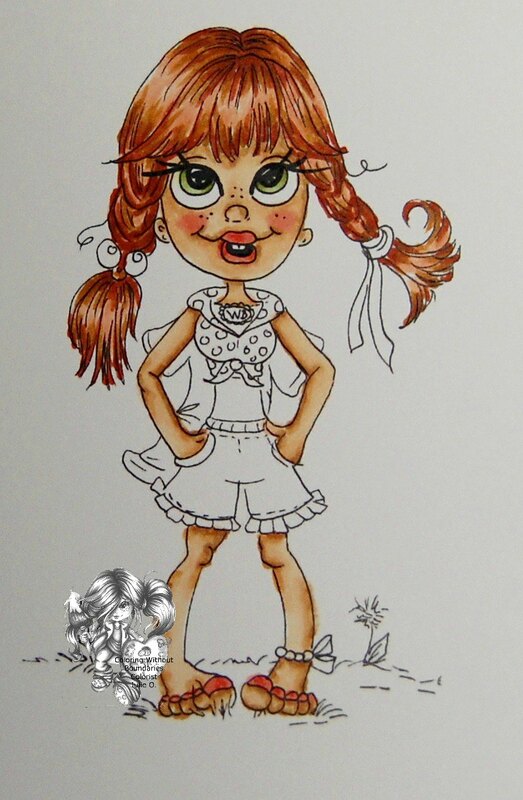 I'd like to share with you today how I colored her hair and braids. First, though, I'll show you a pic of her with just her skin colored. 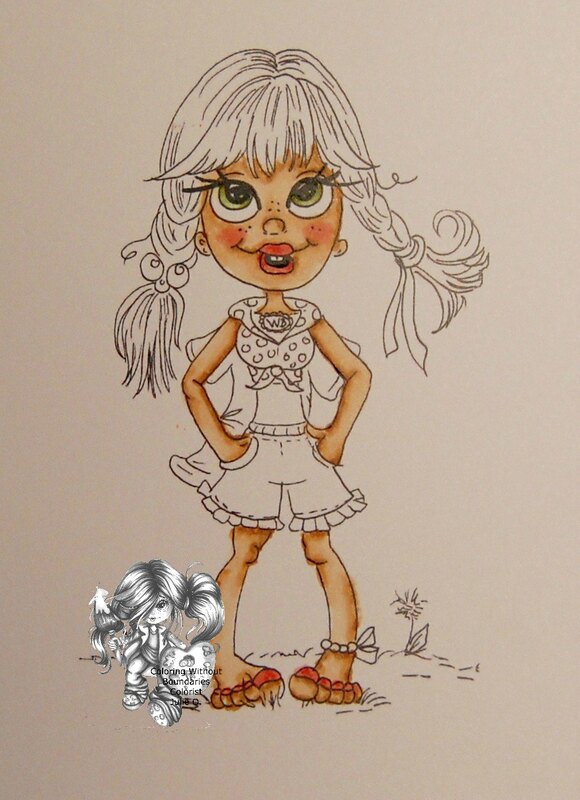 Next I colored lips, eyes, and toenails. Her hair colors (Copics) are E93, E95, E97, and E09. It's already starting to look like hair, and I have 2 colors left to add. All that's left is her adorable outfit and the background. 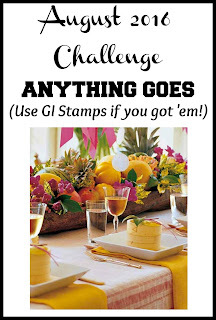 Come join the anything goes challenge at the Lacy Sunshine blog. You have over a week to enter and there's some really great prizes to win! There's 2 great Facebook groups to check out, too. 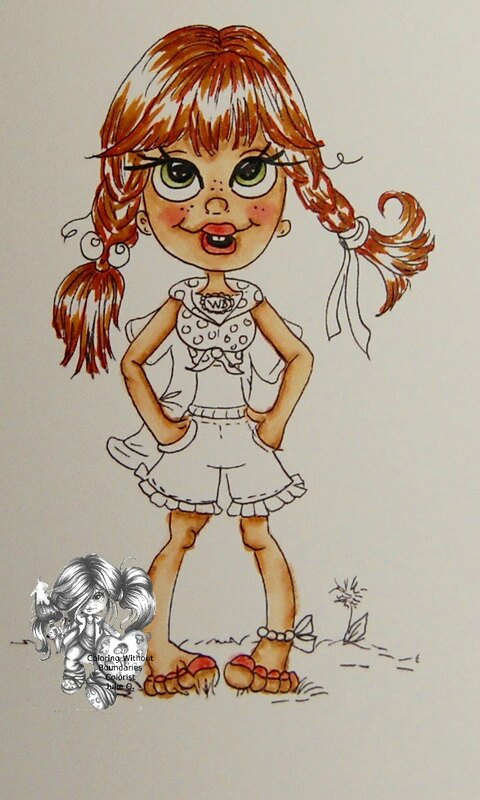 There's the Lacy Sunshine Color N Craft Community and the Coloring Without Boundaries Group. Both groups are wonderful places for inspiration, friendship, and information. 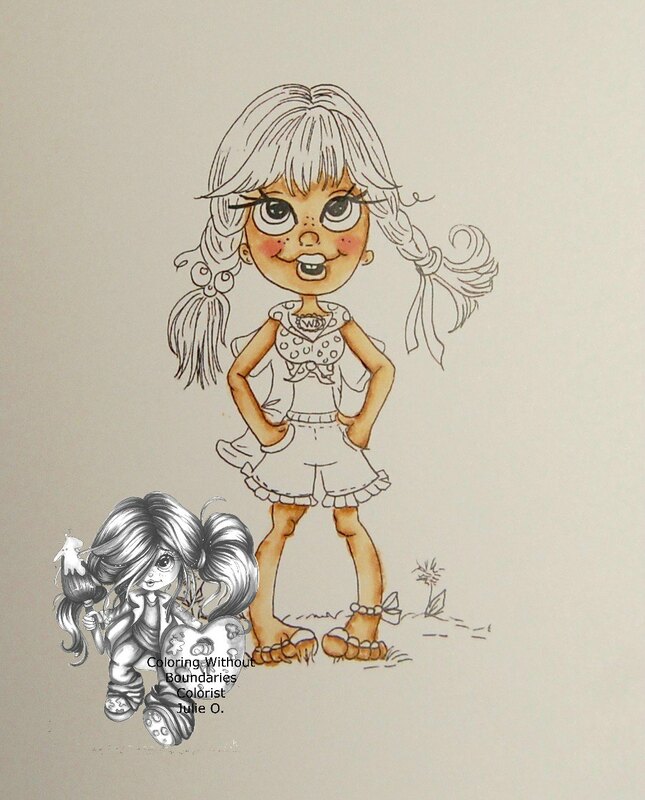 Check out all of Heather Valentin's Adult Coloring Books, available from Amazon.com! Happy hump day, everyone! 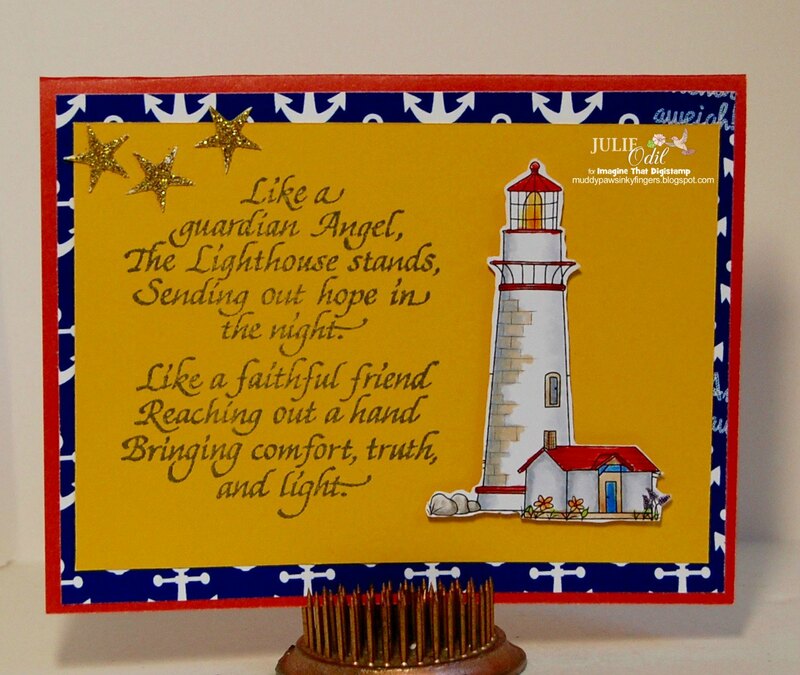 I have a love for lighthouses that has intensified over the years. Since we've begun kayaking Lake Superior, and have kayaked to some lighthouses of the Apostle Islands, lighthouses have taken on even more significance for me. 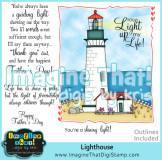 SO, when The Outlawz Festive Fridays announced a Lighthouse-themed challenge this week for National Lighthouse Day, AND I found a wonderful lighthouse digi at Imagine That! Digis by Kris, along with some fantastic nautical papers, I had no choice but to enter in the fun! , then fussy cut that part. 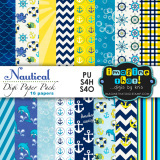 The background paper is from the Nautical Digi paper pack. The sentiment is a rubber stamp mounted on wood. I found it in a small gift shop on one of our kayak trips. 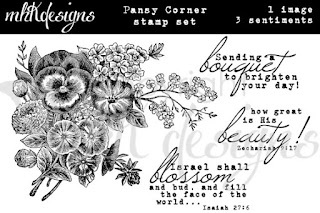 I believe it is from Stampendous. I had a super fun time creating this! The lighthouse was so fun to color and the Nautical papers are beautiful! 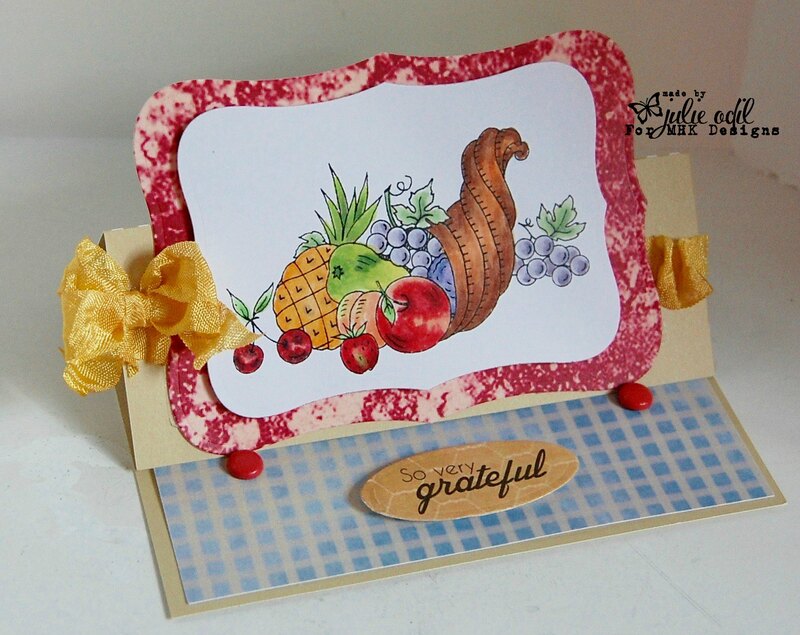 It's Tuesday, and it's time for a new challenge on the Crafty Sentiments Designs Challenge Blog. 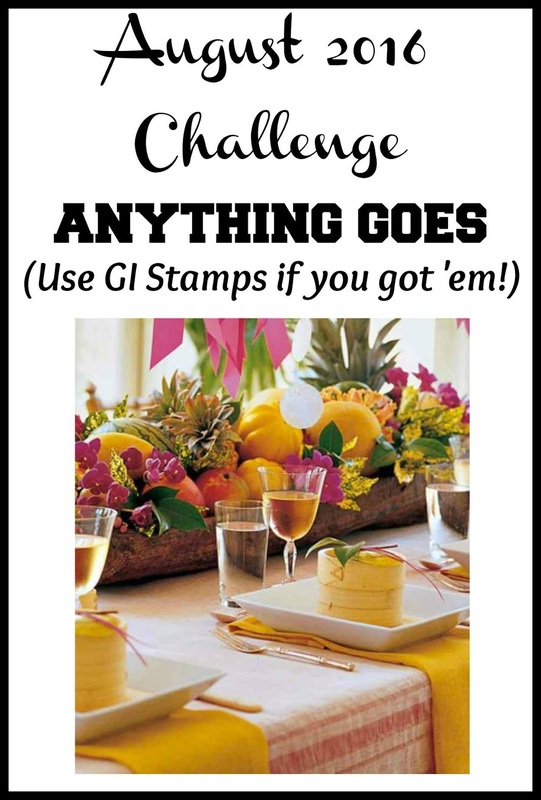 Our theme this week is a favorite -- Anything Goes! Come join the fun! 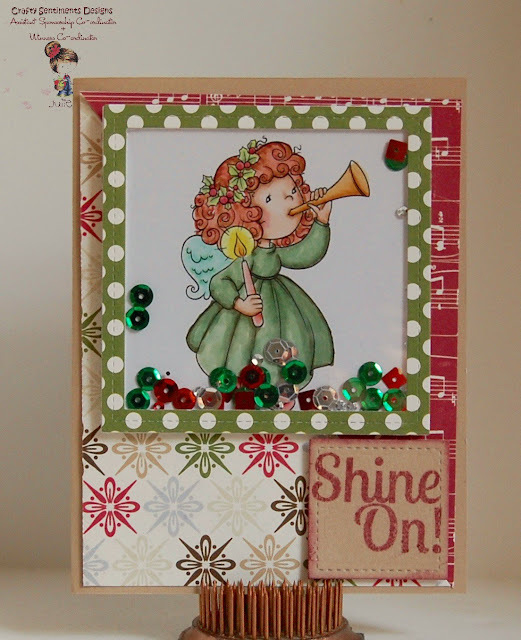 I colored Hark the Angel Sing with Copic markers, then created a shaker card. 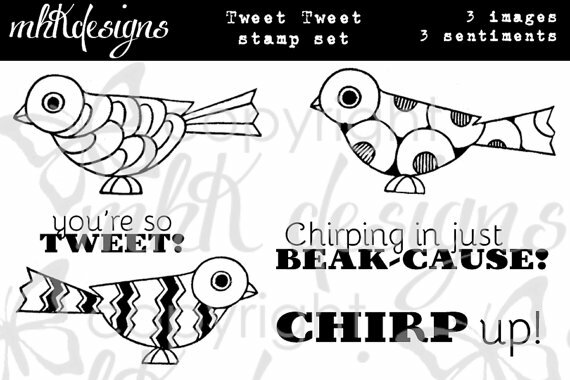 I love shaker cards, and I think this will be a fun one for someone to get this Christmas! The dies used to create the shaker are from Lawn Fawn. Sequins are from Craftin' Desert Divas. Papers are from Echo Park. 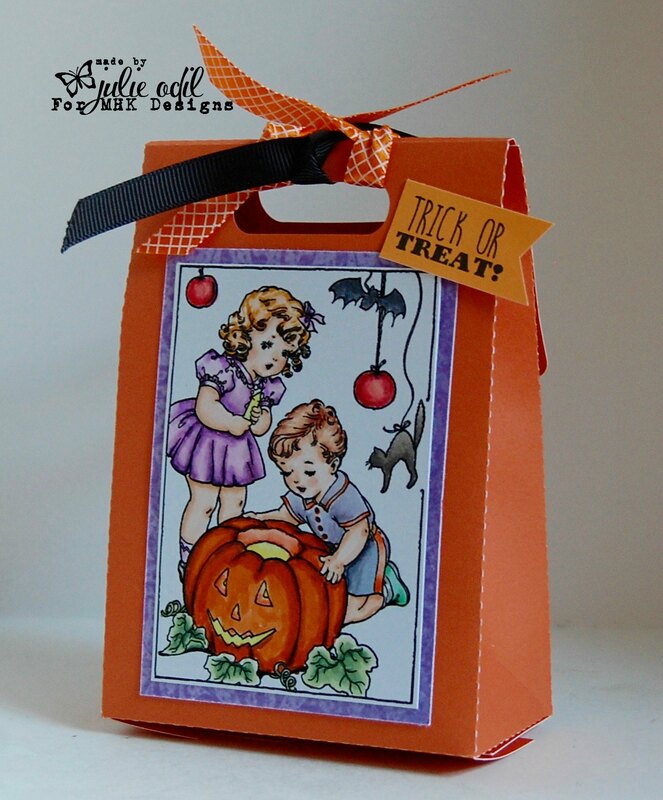 The sentiment came with a Spellbinders card kit. 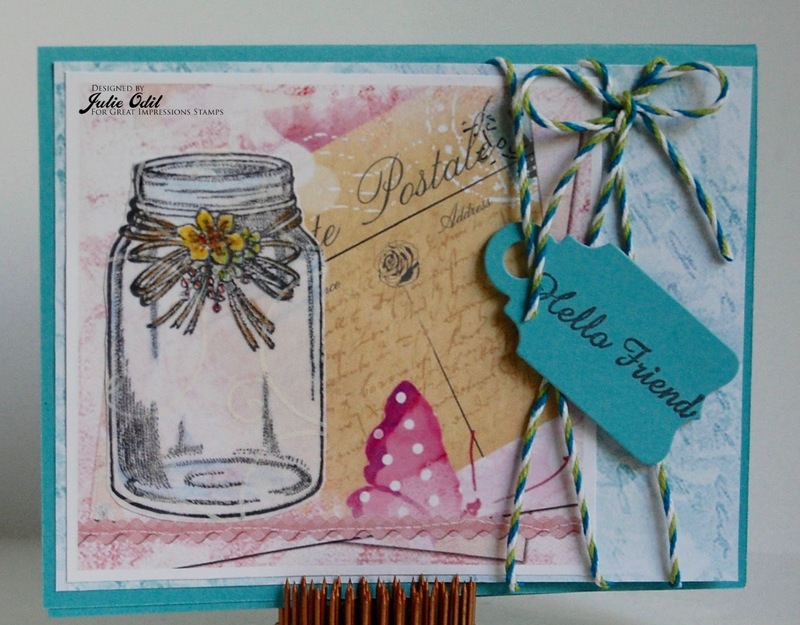 Join us this week (and every week) at Crafty Sentiments Designs Challenge Blog. We have great prizes, and I'd love to see what you create! Hello, my crafty friends. I hope you are having a good week so far. I can't believe how fast August is going! 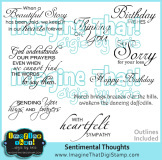 I am almost 2 months into my 3 month guest designing stint at Imagine That! Digis by Kris. I am so grateful to Kristy Breach and her design team for this opportunity! 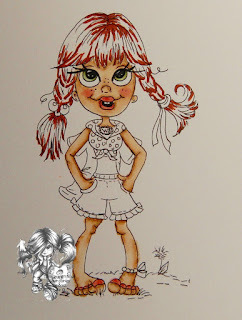 I used the beautiful Poppy file and colored it with Copic markers. It also comes in a pre-colored version if you're short on time. 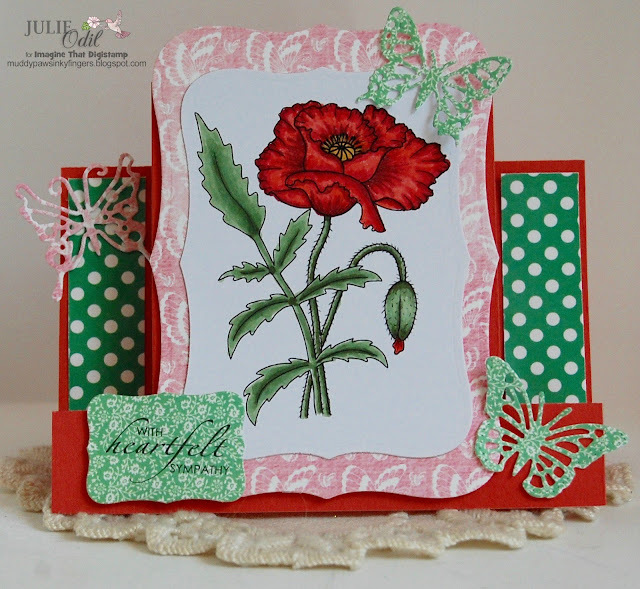 The sentiment is from Sentimental Thoughts set, and is thoughtfully (pun intended) included with the Poppy file. 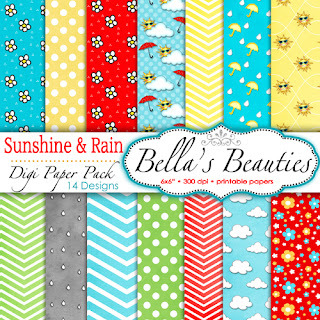 The green polka dot paper is from the Sunshine & Rain Digi Paper Pack. I cut the center step card out on my Silhouette Cameo using a file from the Silhouette Design Store. The butterflies are dies from Cheery Lynn. Make sure to visit the Imagine That! Digis by Kris blog often for great inspiration. 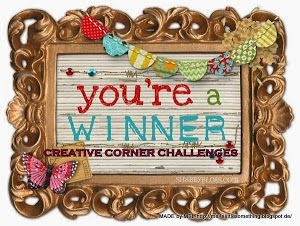 Join in on the Signs of Summer challenge going on now in the Creative Playground! Check out the Imagine That! 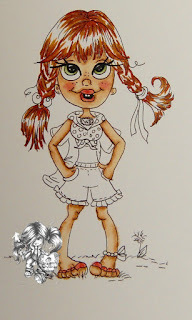 Digis group on Facebook where there is an Anything Goes (with an Imagine That! 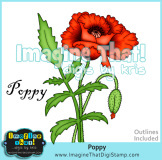 Digis by Kris imagine) going on, plus inspiration, freebies and fun! Today is an Alice in Wonderland themed release at Oddball Art Stamp Company. I love Alice in Wonderland! Such imagination deserves to be celebrated! 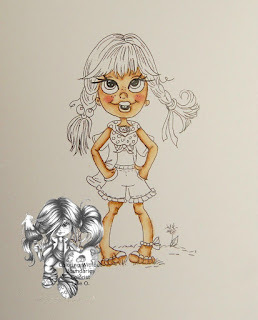 I colored Image #324 - Alice with Copic markers, then fussy cut her out. I cut the tea cup stack out on my Silhouette Cameo, using French Country papers from MHKDesigns. The sentiment, printed on another teacup, is also part of Image #324. 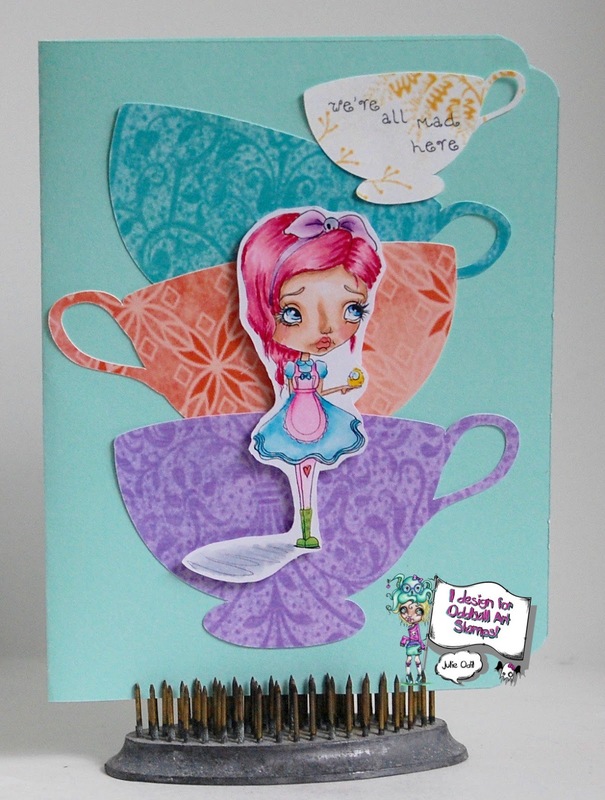 Check out all the Alice in Wonderland New Releases today at Oddball Art Company. You'll love what the other design team members have created! The 'For you Blue' Challenge is currently going on at the Oddball Stamps Challenge blog. Join us!! Join in on the Facebook Group challenge, too! 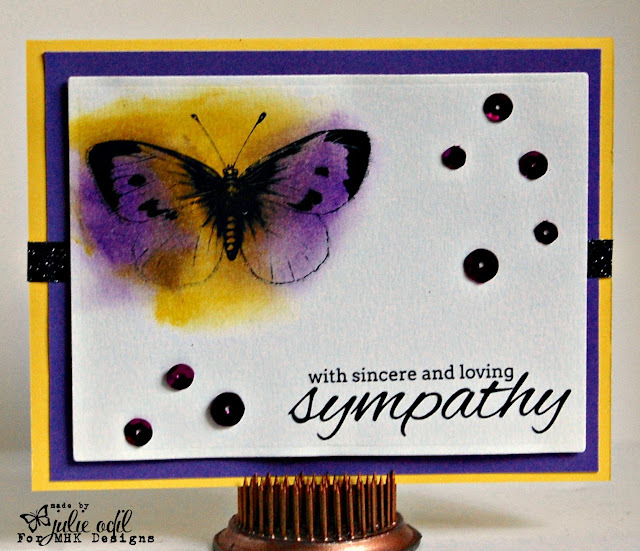 I printed the butterfly from the Beginnings & Endings set on Canson Mi Tints paper then used several colors of Tim Holtz Distress inks to match the color swatch. The sentiment is also part of the Beginnings & Endings set. The sequins are from Bella Creationz Etsy Shop. Card stock & shimmer trim are from Close To My Heart. 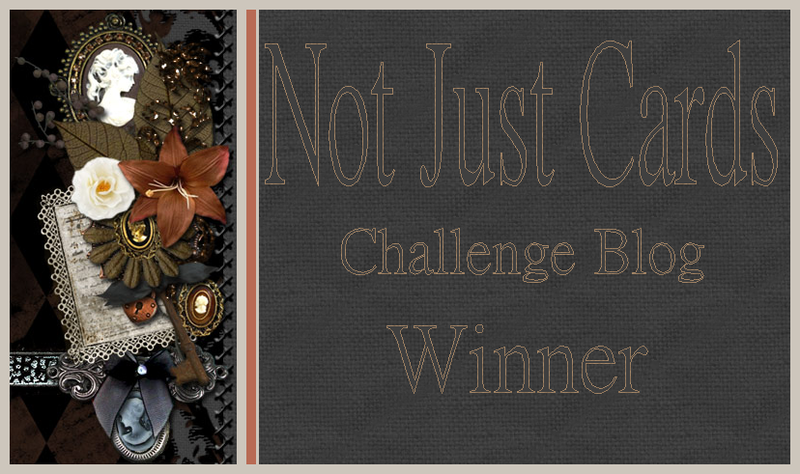 Join in on the challenge at MHKDesigns. It will run for a month, and I'd love to see what you make!!! Today is the final day of new releases at MHKDesigns. It's been a great first new release for me -- I've so enjoyed the experience! Today's new release just might be my favorite of the week. It's called Pansy Corner, and it's so fun to color! 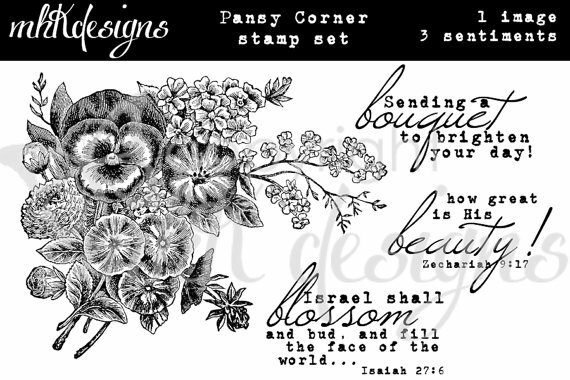 I used the image from Pansy Corner and one of the beautiful sentiments from the set. 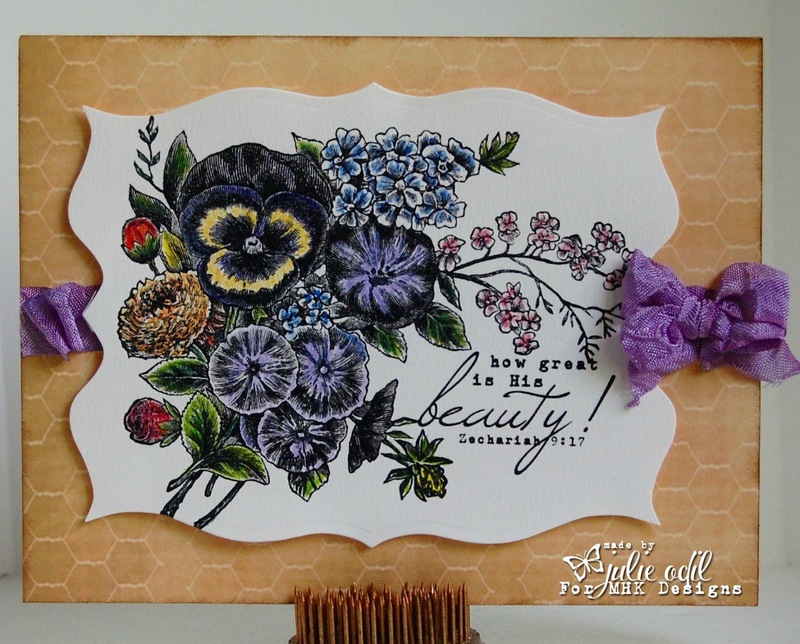 I colored the Pansy Corner image with Lyra Rembrandt Polycolor Pencils on Canson Mi-Tientes paper. 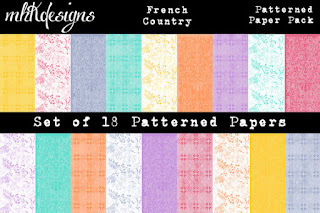 The designer paper used to back the card front is from MHKDesigns. 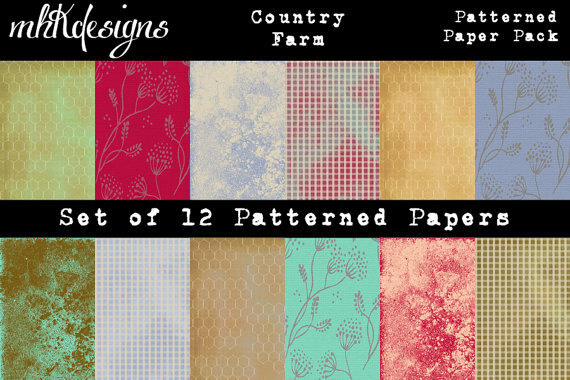 It is part of the Country Farm digi paper pack. 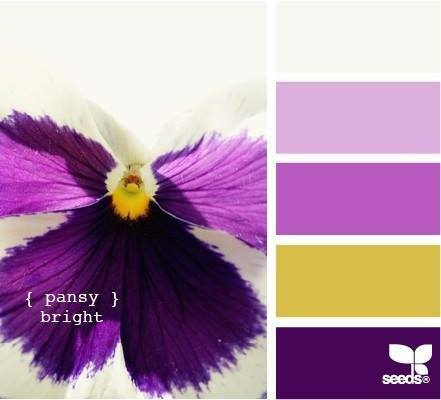 The great part of this Pansy Corner was how quick it was to color. It is already so shaded that it only took one or 2 colors to make it look really good. I hope you enjoyed this week's New Releases. I know I did! 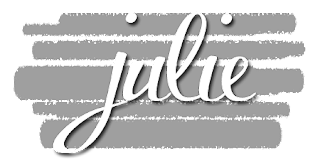 I hope you visited the MHKDesigns blog each day to see what the other designers made because there's lots of inspiration there! 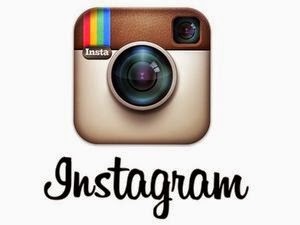 Come back tomorrow for my final MHKDesigns project of the week. There's a new challenge starting tomorrow -- come back for the fun! I'm posting today for The Cutting Cafe. 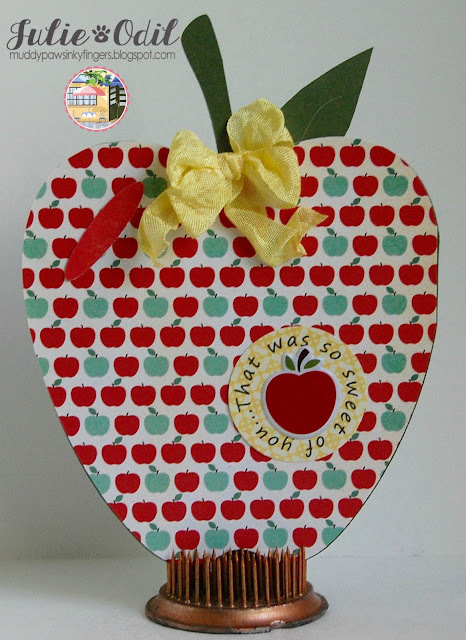 We have a back to school theme going with the design team: pencils and apples! I cut the SVG file out on my Silhouette Cameo. Papers are from the Fancy Pants Off To School 6x6 pad. The apple in the middle of the sentiment is a Pebbles dimensional sticker. The crinkle ribbon is by 3 Girl JAM. There are many wonderful back to school projects to be viewed in The Cutting Cafe - Be Inspired Facebook Group. Check out The Cutting Cafe Blog on Aug 21 to see all the projects together. Leave a comment on that post, and you could win 3 sets of your choice! YES!! Yeehaw! It's Friday! And, I get to post for Great Impressions Stamps! I get so excited! The card topper and background papers were free with a magazine. The twine, from Lawn Fawn, came wrapped around an order. The tag the sentiment is stamped on is a die from Paper Wishes. It's day 4 of 5 for the New Release at MHKDesigns. 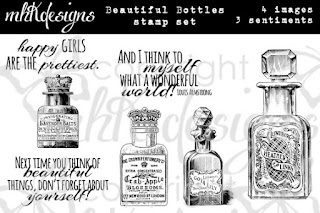 I love the mix of vintage designs and modern sentiments found in the MHKDesigns Etsy Store. I colored Halloween Party with Copic markers and backed it with a designer paper from MHKDesigns French Country paper pack. Ribbons on this treat bag are from Really Reasonable Ribbon. You'll want to visit the MHKDesigns blog to see what the rest of the uber talented design team did with this sentimental new release. It will be definitely worth the trip! And that's it for day 4. Come back tomorrow for the final day of this month's release. I think it might be my favorite day of all! Happy Thursday, fellow crafters! 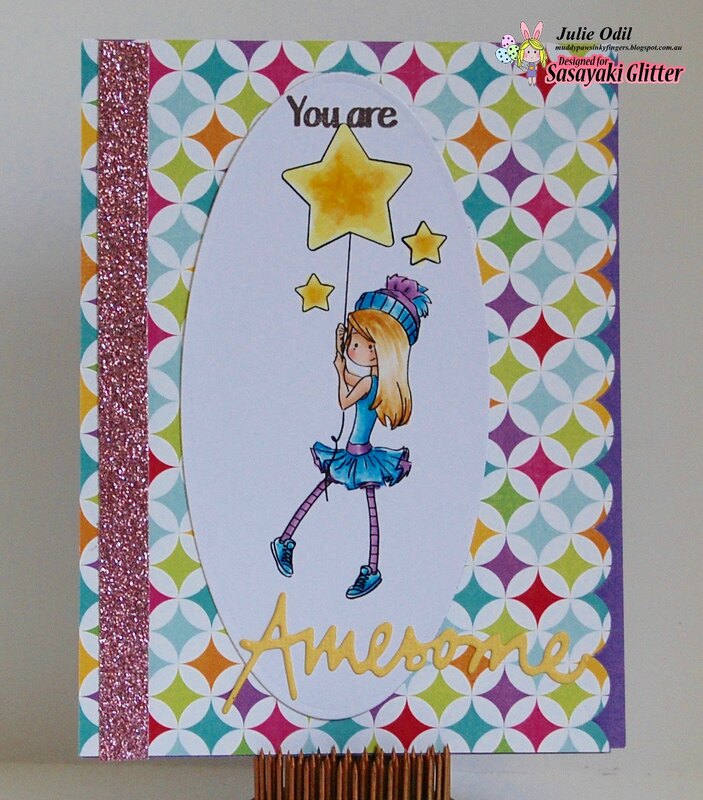 It's time for a bit of mid-month inspiration over on the Sasayaki Glitter challenge blog. Challenges run for a month, and this month's theme is "use a die cut." She's called 'Anita's Star', and I think she's precious! 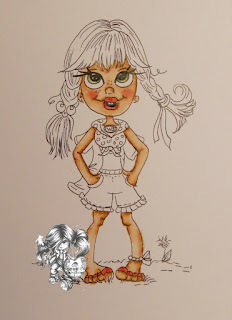 I colored her up with Copic markers, then used an oval die to cut her out. The sentiment is combination stamp and die cut. I cut the card base out on my Silhouette Cameo, with a file I found in the Silhouette Design Store. Papers are from Echo Park. Shimmer trim is from Close To My Heart. I hope you find time to join the Sasayaki Glitter Challenge this month. All you need is a die cut somewhere on your project. Id love to see what you make! 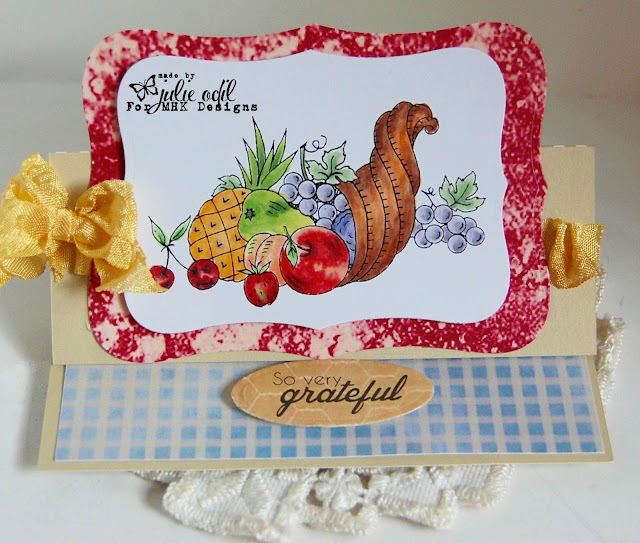 Both the image and sentiment are from the Thankful Thoughts set. I colored the cornucopia of fruit with Copic markers, then created an easel card to show it off. I cut it out on my Silhouette Cameo, using a file I found in the Silhouette Design Store. 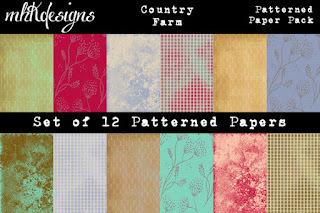 Papers for this card are from the MHKDesigns digi paper set, Country Farm. You'll want to visit the MHKDesigns blog to see what the rest of the uber talented design team did with this thoughtful new release. It will be definitely worth the trip! Day 3 -- Thankful Thoughts -- an excellent set for Fall and Thanksgiving. I wonder what day 4 will bring? come back tomorrow to see! Happy Birthday, Cupcake! Guest Designing at The Outlawz! Hello, and happy Thursday! I have the pleasure of guest designing at The Outlawz Twisted Thursday again today. Thanks to Angela and the team for letting me play along again this week! 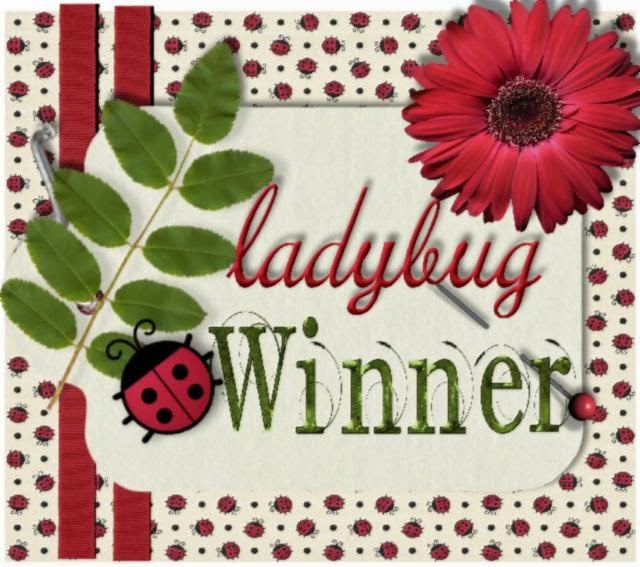 The sponsor this week at The Outlawz Twisted Thursday is Bugaboo Stamps, and the theme is Cupcakes. 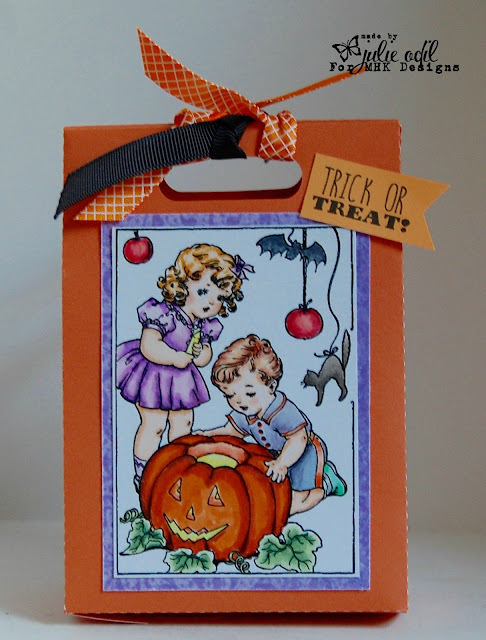 Bugaboo Stamps were the very first digi stamps I ever tried, and I will always have a soft spot for them. They are adorable and there is an incredible variety in the store. 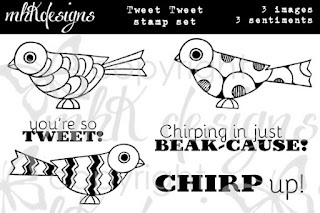 You'll find tons of cupcake stamps to use to enter this week's twist at The Outlawz! 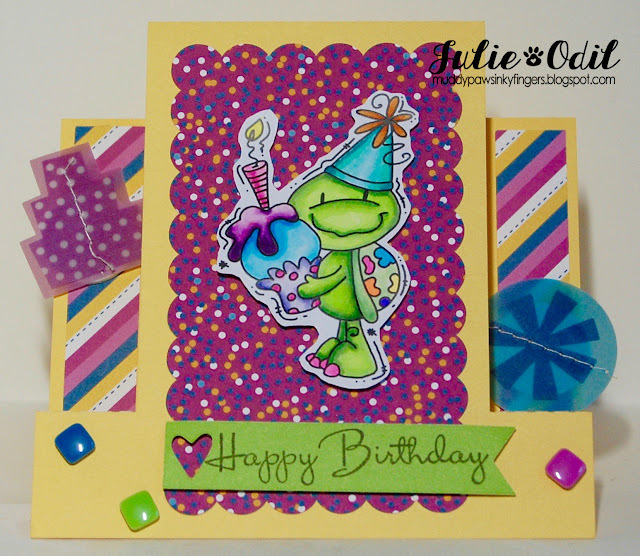 I used Turtle Birthday Cupcake from Bugaboo Stamps, and colored it up with bright Copic colors. This is a painted turtle, after all, so I painted that shell with all sorts of bright colors! Why not? It's a party! 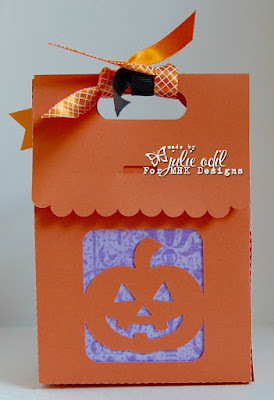 I cut the front step card out on my Silhouette Cameo with a file I found in the Silhouette Design Store. The birthday sentiment is a clear stamp from Close To My Heart. The elements on the card are also from Close To My Heart, as are the bright party papers. 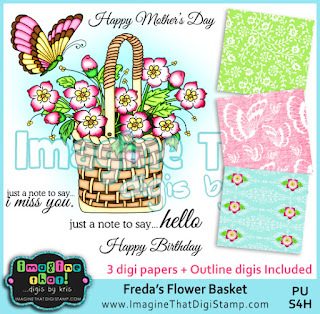 It's Day 2 of New Releases at MHKDesigns. I think this might be my favorite of the 5 days of new releases. But, maybe it's tomorrow's, or Friday's? Anyway, I really, really like today's new release and all the possibilities of it. I printed 3 of the bottles and a sentiment from the Beautiful Bottles set onto Kraft paper. I printed each bottle twice. I colored the bottles with Lyra Rembrandt Polycolor Pencils, fussy cut them, and glued them to the original printed layer, using 3D foam squares on one layer. 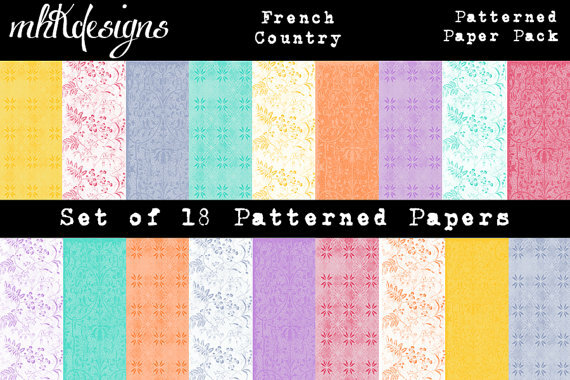 The designer papers are all from the French Country collection. The tie dye crinkle ribbon is from 3 Girl JAM. You'll want to visit the MHKDesigns blog to see what the rest of the uber talented design team did with this beautiful new release. It will be definitely worth the trip! That's it for day 2. Come back tomorrow to see what else is in store this week! Isn't this fun?!? Chirp Up! 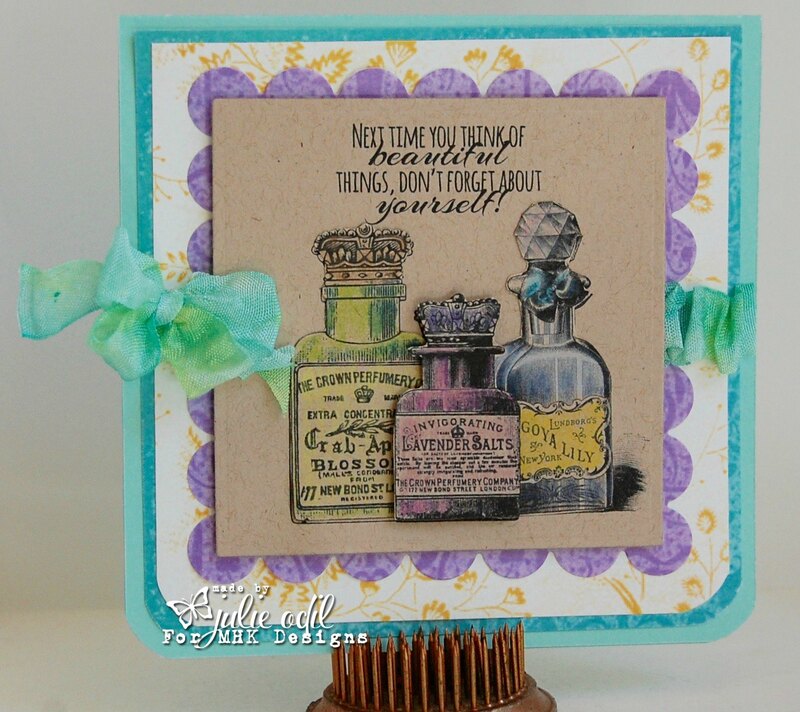 a New Release at MHKDesigns! Woo hoo, Hoo! This is a big day! It's the start of New Release week at MHKDesigns, and it's my first post on this wonderful team! See why I'm excited?!? You'll find all of this month's new releases, plus digital papers and more in the MHKDesign's Etsy Shop. I don't often break out my fluorescent Copic markers, but I did for this bird. I wanted it to be wild and wonderful. I wanted it to cheer up the recipient with it's brightness! 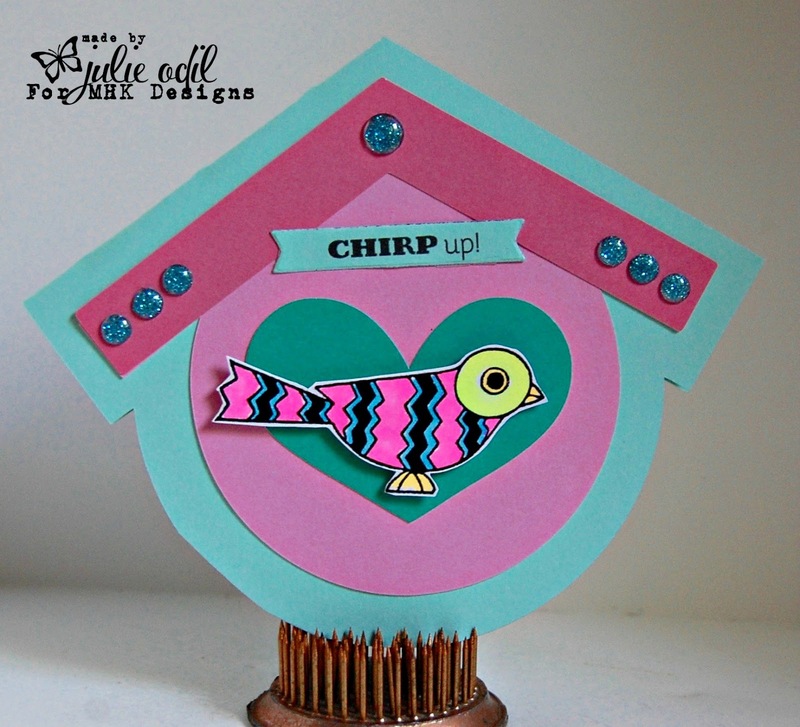 The birdhouse shaped card was cut out on my Silhouette Cameo with a file I found in the Silhouette Design Store. The rhinestones are from my stash. You'll want to visit the MHKDesigns blog to see what the rest of the uber talented design team did with this fun new release. It will be definitely worth the trip! Come back tomorrow for day 2 of the New Releases. This is going to be so much fun!